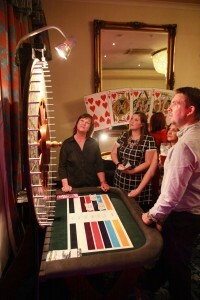 The Wheel of Fortune is an exciting but simple game, and thus is very popular with newcomers to casinos. You just make your bet and spin the wheel. If the wheel stops on the colour you’ve bet on, you win; otherwise, well, you lose. 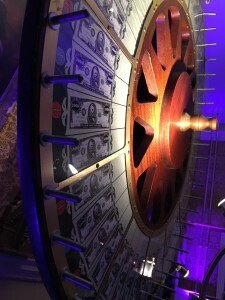 Sometimes the casino will call this game The Big Wheel, The Big Money Wheel or in honour of the famous TV game show; as we like to call it The Wheel of Fortune. 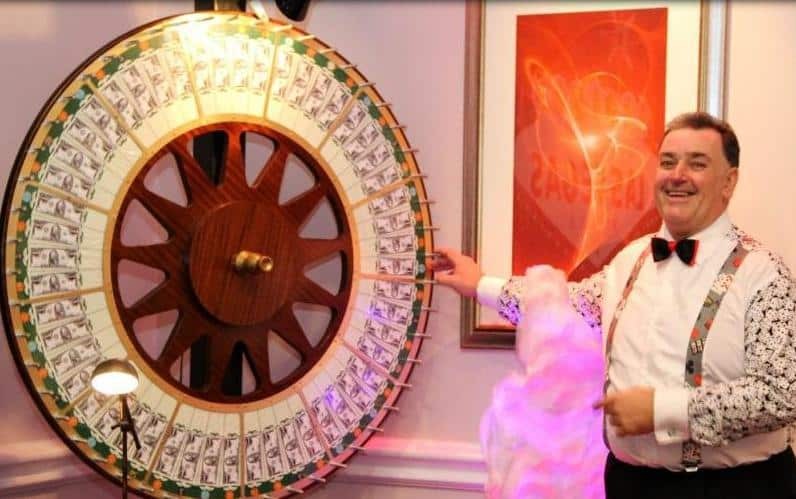 You can hire The Wheel of Fortune as part of your casino night, perfect for those who want something visual and fun, it works great as an addition to the more classic casino tables. 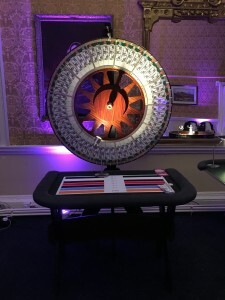 Our Wheel of Fortune is also brilliant for Exhibition stands and Trade Shows, it’s a quick and interactive game and prizes can be won instead of fun money, giving future potential customers and clients an incentive to play allowing you to interact with them. Our Wheel Of Fortune is also very attractive and eye catching, encouraging more people to come over to your trade stand.